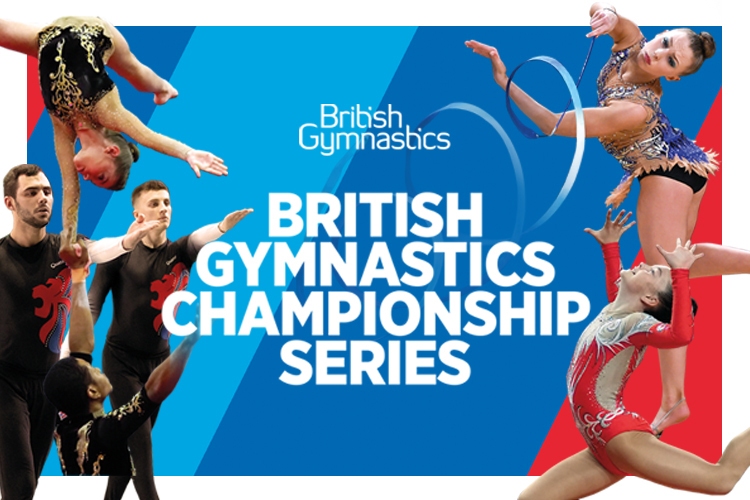 British Gymnastics Championship Series 25-28 July. 4 days, 4 Championships, 4 amazing gymnastics disciplines! Four days of non-stop gymnastics action is on offer showcasing the amazing skill of Britain’s best gymnasts and the diversity of our spectacular sport. You’ll be treated to an incredible feast of gymnastics with multiple disciplines and age groups uniting under one roof competing for prestigious British medal titles. You can buy either individual day tickets or a multi-day ticket giving you access to all four days of stunning gymnastics. Tickets give you access to the whole arena area, so you can wander between the different halls to see all the gymnastics action taking place that day. Aerobic gymnastics is bursting with high energy music and displays. With routines performed either individually or in groups in a blur of muscle-burning jumps, lifts and lunges. Qualifying takes place on Thursday, with finals on Friday. Friday 26, Saturday 27 and Sunday 28 July – Rhythmic Gymnastics and Acrobatic Gymnastics 2019 British Championships. Sharing the floor over three days! Rhythmic gymnastics is all about spell binding routines performed on the floor. Watch as our gymnasts compete gracefully mastering the ribbon, the hoop, the rope, the clubs and ball. There are qualifications and finals across all three days. Acrobatic gymnastics has been made famous by performers like Spelbound and Cirque Du Soleil. Requiring an extraordinary amount of courage and trust, gymnasts in pairs or groups perform spectacular choreographed routines with intricate balances, exciting multiple somersaults and with partners being dramatically thrown and caught to wow the crowd. Qualifying will take place on Friday and Saturday with the finals on Sunday. TeamGym is a fantastic combination of team floor displays and thrilling somersaults on the tumble track and trampette. Team spirit really shines through the impressive routines providing great entertainment for those watching. You can buy tickets to one day or multiple. The full four-day event pass is the equivalent of two day tickets so you get two extra days for free.